How Many Ways Can a Graduate Business Program Use a Chatbox? A recent MBA News Digest podcast focused on how to use chatbots for graduate program recruiting and enrollment. It occurred to me while creating my podcast that many more ways are available for program managers, staff, and even faculty to use chatbots. But, before looking at these ways, reviewing chatbot basics may be helpful. 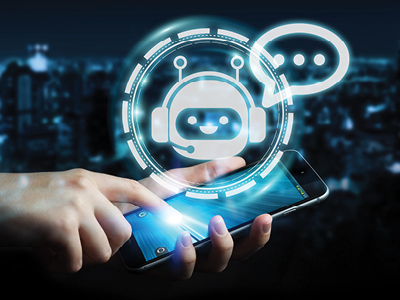 While each chatbot application has its own unique set of capabilities, four seem to be common to all. First, chatbot applications, such as tawk.to, allow you to add the chat functionality to as many web pages as you want. For example, you can add a chatbot to the home page to answer questions from visitors and to a specific enrollment manager’s web page to answer specific enrollment-related questions. Second, you can add as many agents or staff as you want to respond to chat requests. For example, five staff members can create tawk.to accounts and add a chatbot to their program’s home page and their individual web pages, so they can respond to visitors to either page. Third, agents (staff) can receive chat messages live when they are online, and/or when offline visitors can leave a message, they can respond to when they have time. Fourth, saved chat histories allow users to review conversations as part of a continuous improvement process. Faculty Office Hour Support: Faculty members can register for their own chatbot account and then add the chat function to their individual faculty web page. Scheduling blocks of time for each faculty member’s office hours is easy. This means chatbots can help faculty members hold virtual office hours. International Study Trip: Create a web page for each international study trip and then add a chatbot. Add internal program staff and external program managers involved in the trip so they can answer questions from participants before, during, and after the trip. At the end of a trip, a chat history is available for review to help with planning of future trips. Talk with The Dean: Give students the opportunity to chat with the dean by adding a chatbot to the dean’s web page. Intake Q&A: Create a web page that is available to an intake of students and add a chatbot. The web page and chatbot gives the students a place to ask the many questions they have during their program. At the end of the program, a chat history is available for review to help with planning of future intake onboarding and other activities. In addition to these four, other possibilities include adding a “Q&A” chatbot for alumni, placement, and financial aid web pages. In all cases chatbot account holders can add other account holders to their web page chat function to help respond to visitor inquiries. This capability helps expand the time live chat sessions are available to visitors, and it helps spread the workload.